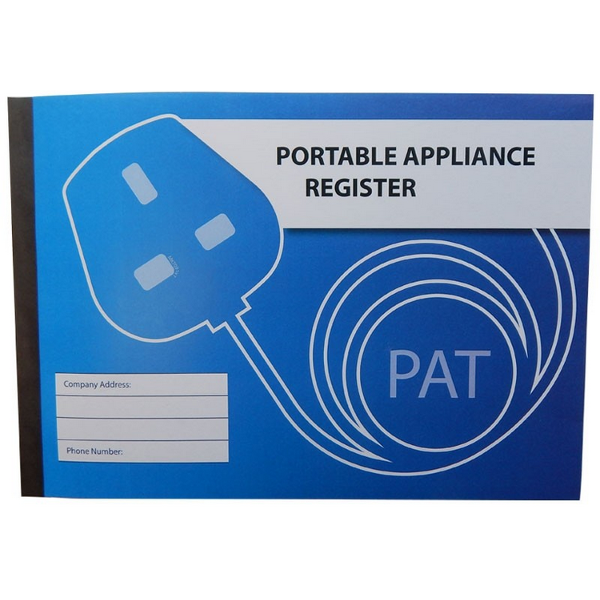 This Portable Appliance Testing Register (PAT Register) is a large A4 horizontal PAT register with carbon paper enabling you to create a copy for your customer. For use with all PAT testers. 50 pages. Our PAT register is one of the most comprehensive on the market. An essential tool for the complete manual recording of PAT testing results. Designed based on the IET Code of Practice for In-service Inspection and Testing of Electrical Equipment (4th Edition), this register allows the recording of both visual and electrical tests in one book. No Carbon Required (NCR) paper means there is no messy carbon sheet, simply write on the top (white) sheet and a carbon copy will be created on the accompanying second (yellow) sheet underneath. An attached wrap around writing shield is included for convenience. Each sheet is also individually perforated allowing you to tear one copy off for your customer as well as yourself. Alternatively you can leave your copy attached in the register for safe keeping. Each register contains 50 sheets, suitable for recording the test results of 950 items, with a clear and simple layout. Sections include Asset ID / Description / Location / Make/Model / Serial No. / Class / Visual Inspection (Plug / Cable / Body) / Electrical Tests (Fuse / Earth / Insulation / Leakage) / Function Check (inc. comments) PASS / FAIL indication. There is also section for Client Company Name / Contact Name and address as well as PAT tester information.